In a 2005 op-ed in The Guardian, British MP and former cabinet minister Michael Meacher will claim that Islamist militants from Pakistan were sent to Bosnia in the early 1990s to fight against Serbia. Citing the Observer Research Foundation, he will claim that about 200 Pakistani Muslims living in Britain were sent to Pakistan, where they trained in camps run by the Pakistani militant group Harkat ul-Ansar (which will change its name to Harkat ul-Mujahedeen after being banned by the US a few years later). The Pakistani ISI assisted with their training. They then joined Harkat ul-Ansar forces in Bosnia “with the full knowledge and complicity of the British and American intelligence agencies.” [Guardian, 9/10/2005] Interestingly, Saeed Sheikh, who will later be accused of involvement in the 9/11 attacks and the murder of reporter Daniel Pearl, follows this pattern. He left Britain to go to Bosnia with Harkat ul-Ansar, and also attended training camps partly run by the ISI (see April 1993 and June 1993-October 1994). There are also allegations that he worked with British intelligence (see Before April 1993). Saeed Sheikh may be recruited by the British intelligence service MI6, according to a claim made in a book published in 2006 by Pakistani President Pervez Musharraf. According to Musharraf, Saeed Sheikh, who will be involved in the kidnapping and murder of Daniel Pearl (see January 23, 2002) and will be said to wire money to the 9/11 hijackers (see Early August 2001), may be recruited by MI6 while studying in London, and when he goes to Bosnia to support the Muslim cause there, this may be at MI6’s behest (see April 1993). Musharraf will further speculate, “At some point, he probably became a rogue or double agent.” [London Times, 9/26/2006] The London Times will provide some support for this theory, suggesting that Saeed will later have dealings with British intelligence (see 1999). 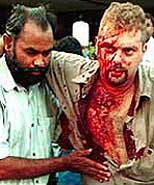 On July 4, 1995, six Western tourists are kidnapped in Kashmir, India. A Norwegian is soon found beheaded while an American manages to escape. The remaining hostages, two British, one German, and one American, are never found and are apparently killed in December 1995. The kidnapping is executed by an alias of the Pakistani militant group later known as Harkat ul-Mujahedeen. The kidnappers demand the release of a number of jailed Islamists, including Saeed Sheikh and Maulana Masood Azhar, both imprisoned in India (see November 1994-December 1999). Counterterrorism expert Rohan Gunaratna claims the leaders of the operation were trained by al-Qaeda. [Gunaratna, 2003, pp. 284-285] In January 1996, a secret CIA report will say that, according to a foreign intelligence agency, Enaam Arnaout, the US director of the Benevolence International Foundation (BIF), was in Pakistan and matches the description of a man involved in the kidnapping who then left Pakistan in early October for Bosnia via the US. [Central Intelligence Agency, 1/1996] Yet despite this information, the US will take no action against Arnaout or BIF. The US will not even designate Harkat ul-Mujahedeen until over two years after the kidnapping. [Gunaratna, 2003, pp. 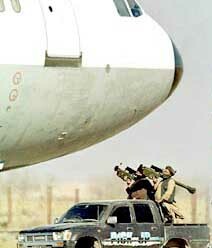 284-285] An airplane hijacking in 1999 will free Azhar and Sheikh (see December 24-31, 1999). 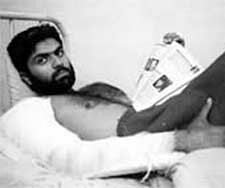 After his released from an Indian prison at the end of 1999 (see December 24-31, 1999), Saeed Sheikh stays in Kandahar, Afghanistan, for several days and meets with Taliban leader Mullah Omar. He also meets with bin Laden, who is said to call Saeed “my special son.” [Vanity Fair, 8/2002] Saeed soon has a falling out with Pakistani militant leader Maulana Masood Azhar and draws closer to al-Qaeda. 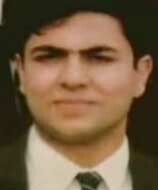 Based mostly in Karachi, Pakistan, he reports to al-Qaeda leader Abu Zubaida. Saeed is said to “soon [become] a key figure, especially in terms of fund-raising.” [Gunaratna, 2003, pp. 286] He regularly travels to Afghanistan and helps train new al-Qaeda recruits in training camps there. [New York Times, 2/25/2002; India Today, 2/25/2002; National Post, 2/26/2002; Guardian, 7/16/2002] Saeed helps train some of the 9/11 hijackers, presumably in Afghanistan as well. [Daily Telegraph, 9/30/2001] He also helps al-Qaeda develop a secure web-based communications system. His work is generally so impressive that there is talk he could one day succeed bin Laden. [Daily Telegraph, 7/16/2002; Vanity Fair, 8/2002] Saeed forged a relationship while in Indian prison with Aftab Ansari, a Pakistani gangster who has fled to the United Arab Emirates (UAE) (see November 1994-December 1999). Thanks to this connection, Sheikh is able to establish an al-Qaeda base for himself in Dubai, UAE. [Gunaratna, 2003, pp. 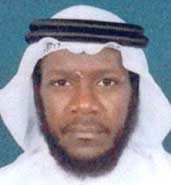 286] Numerous 9/11 hijackers will later move through Dubai and some of the money sent to Mohamed Atta in 2001 will come from Sheikh and Ansari through Dubai (see Early August 2001). [Guardian, 2/9/2002] At the same time Saeed is strengthening his al-Qaeda ties, he is also openly working with the Pakistani ISI (see January 1, 2000-September 11, 2001). British intelligence asks India for legal assistance in catching Saeed Sheikh sometime during August 2001. Saeed has been openly living in Pakistan since 1999 and has even traveled to Britain at least twice during that time, despite having kidnapped Britons and Americans in 1993 and 1994. [London Times, 4/21/2002; Vanity Fair, 8/2002] According to the Indian media, informants in Germany tell the internal security service there that Saeed helped fund hijacker Mohamed Atta. [Frontline, 10/13/2001] On September 23, it is revealed, without explanation, that the British have asked India for help in finding Saeed. [London Times, 9/23/2001] Saeed Sheikh’s role in training the hijackers and financing the 9/11 attacks soon becomes public knowledge, though some elements are disputed. [Daily Telegraph, 9/30/2001; CNN, 10/6/2001; CNN, 10/8/2001] The Gulf News claims that the US freezes the assets of Pakistani militant group Jaish-e-Mohammed on October 12, 2001, because it has established links between Saeed Sheikh and 9/11. [Gulf News, 10/11/2001] However, in October, an Indian magazine notes, “Curiously, there seems to have been little international pressure on Pakistan to hand [Saeed] over” [Frontline, 10/13/2001] , and the US does not formally ask Pakistan for help to find Saeed until January 2002. The ransom for a wealthy Indian shoe manufacturer kidnapped in Calcutta, India, two weeks earlier is paid to an Indian gangster named Aftab Ansari. Ansari is based in Dubai, United Arab Emirates, and has ties to the Pakistani ISI and Saeed Sheikh. Ansari gives some of the about $830,000 in ransom money to Saeed, who sends about $100,000 of it to future 9/11 hijacker Mohamed Atta. 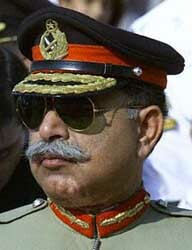 [Los Angeles Times, 1/23/2002; Independent, 1/24/2002] The Times of India will later report that Lieutenant General Mahmood Ahmed, the director of the ISI, instructed Saeed to transfer the $100,000 into Atta’s bank account. This is according to “senior government sources,” who will claim that the FBI has privately confirmed the story. [Times of India, 10/9/2001] According to some accounts, the money is moved through a charity, the Al Rashid Trust. Some of the money is also channelled to the Taliban, as well as Pakistani and Kashmiri militant groups. [NewsInsight, 1/4/2002; Press Trust of India, 4/3/2002] The money is apparently paid into two of Atta’s accounts in Florida (see Summer 2001 and before). The Al Rashid Trust will be one of the first al-Qaeda funding vehicles to have its assets frozen after 9/11 (see September 24, 2001). A series of recovered e-mails will show the money is sent just after August 11. This appears to be one of a series of Indian kidnappings this gang carries out in 2001. [India Today, 2/14/2002; Times of India, 2/14/2002] Saeed provides training and weapons to the kidnappers in return for a percentage of the profits. [Frontline (Chennai), 2/2/2002; India Today, 2/25/2002] This account will frequently be mentioned in the Indian press, but will appear in the US media as well. For instance, veteran Associated Press reporter Kathy Gannon will write, “Western intelligence sources believe Saeed sent $100,000 to Mohamed Atta, the suspected ringleader of the Sept. 11 terrorist hijackings,” although they apparently think the hawala system was used for this. [Associated Press, 2/9/2002] Some evidence suggests Saeed may also have sent Atta a similar amount in 2000 (see (July-August 2000) and Summer 2000). 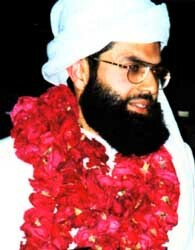 9/11 hijacker Mohamed Atta receives $100,000 from accounts in Pakistan. The money is transferred to two of his accounts in Florida. [Fox News, 10/2/2001; Associated Press, 10/2/2001; US Congress, 10/3/2001; CNN, 10/6/2001; CNN, 10/8/2001] This will later be reported in various media. For example, ABC News will say that federal authorities track “more than $100,000 from banks in Pakistan to two banks in Florida to accounts held by suspected hijack ringleader Mohamed Atta.” [ABC News, 9/30/2001] Law enforcement sources will tell CNN, “[T]he wire transfers from Pakistan were sent to Atta through two banks in Florida.” [CNN, 10/1/2001] One of the hijackers’ financiers, the Pakistan-based Omar Saeed Sheikh, is said to wire Atta around $100,000 in August (see Early August 2001). 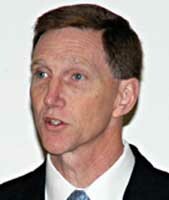 The transfers from Pakistan will be disclosed a few weeks after 9/11 but will then fade from view (see September 30-October 7, 2001), until 2003 when John S. Pistole, deputy assistant director of the FBI’s Counterterrorism Division, tells the Senate Committee on Governmental Affairs that the FBI has traced the origin of funding for 9/11 back to accounts in Pakistan (see July 31, 2003). However, in 2004 the 9/11 Commission will fail to mention any funding coming directly from Pakistan (see Late-September 2001-August 2004). The US freezes the bank accounts of 27 individuals and organizations, alleging that they had channeled money to al-Qaeda. The list includes the names of nine Middle Eastern groups that are members of bin Laden’s International Islamic Front for Jihad Against Jews and Crusaders alliance announced in 1998 (see February 22, 1998). Such groups include the Islamic Army of Aden (based in Yemen), the GIA (Algeria), and Abu Sayyaf (the Philippines). The Al-Rashid Trust. This is primarily a humanitarian organization that aims to eject western charities from Afghanistan by taking over their activities. 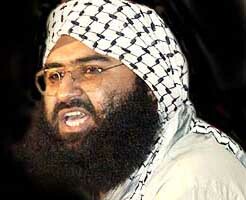 The trust is also so closely linked to the Kashmiri-focused jihidist organization Jaish-e-Mohammed that the Asia Times will comment, “It is often difficult to distinguish between the two outfits, as they share offices and cadres.” The Jaish-e-Mohammed was founded by Maulana Masood Azhar, an associate of 9/11 financier Saeed Sheikh, with the support of the ISI (see December 24-31, 1999). In addition, the trust also provides support to the Taliban, and, occasionally, al-Qaeda. The trust works closely with the Arab-run Wafa Humanitarian Organization. It will continue its social and humanitarian projects, as well as its support for militant Islamic activities, under various names and partnerships despite this ban. A company belonging to one of the hijackers’ associates, the Mamoun Darkazanli Import-Export Company. It is not clear where the Mamoun Darkazanli Import-Export Company is or was based, as it was never incorporated in Hamburg, where Darkazanli lived and associated with some of the 9/11 hijackers. Darkazanli’s personal assets are frozen in October (see September 24-October 2, 2001). [Chicago Tribune, 11/17/2002] However, according to some reports, some of the money transferred to the hijackers in the US in 2001 came through the Al-Rashid Trust (see Early August 2001) and possibly another account, and some of the money the hijackers received in 2000 may have come through Mamoun Darkazanli’s accounts (see June 2000-August 2001). October 1, 2001: The Guardian reports that the real name of “Mustafa Mohamed Ahmad” is “Sheikh Saeed.” [Guardian, 10/1/2001] A few days later, CNN confirms from a “senior-level US government source” that this “Sheik Syed” is the British man Ahmed Omar Saeed Sheikh rescued from an Indian prison in 1999. [CNN, 10/6/2001; CNN, 10/8/2001] However, starting on October 8, the story that ISI Director Lt. Gen. Mahmood Ahmed ordered Saeed to give Mohamed Atta $100,000 begins to break. References to the 9/11 paymaster being the British Saeed Sheikh (and the connections to the ISI Director) suddenly disappear from the Western media (with one exception [CNN, 10/28/2001] ). January 23, 2002: As new information is reported in India, the media returns to the British Saeed Sheikh as the 9/11 paymaster. 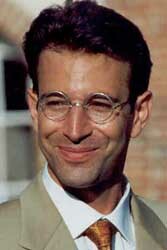 [Los Angeles Times, 1/23/2002; Daily Telegraph, 1/24/2002; Independent, 1/24/2002; Daily Telegraph, 1/27/2002] While his role in the kidnapping of Daniel Pearl is revealed on February 6, many articles connect him to 9/11, but many more do not. 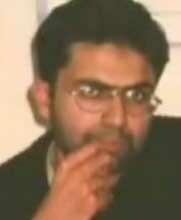 Coverage of Saeed’s 9/11 connections generally dies out by the time of his trial in July 2002. Several media outlets report that, in addition to other transactions, the hijackers received $100,000 wired from Pakistan to two accounts of Mohamed Atta in Florida (see also Summer 2001 and before and Early August 2001). [ABC News, 9/30/2001; CNN, 10/1/2001; Fox News, 10/2/2001; Associated Press, 10/2/2001] For example, CNN says, “Suspected hijacker Mohamed Atta received wire transfers via Pakistan and then distributed the cash via money orders bought here in Florida. A senior law enforcement source tells CNN, the man sending the money to Atta is believed to be Ahmed Omar Saeed Sheikh.” [CNN, 10/6/2001; CNN, 10/7/2001; CNN, 10/8/2001] The story will also be mentioned by Congressman John LaFalce at a hearing before the House of Representatives’ Committee on Financial Services. [US Congress, 10/3/2001] However, Pakistan, a nuclear power, has already become a key US ally in the war on terror (see September 13-15, 2001). ISI Director Mahmood Ahmed, who is found to have had several telephone conversations with Saeed (see Summer 2000), is replaced (see October 7, 2001), and the story soon disappears from view (see September 24, 2001-December 26, 2002). Wall Street Journal reporter Daniel Pearl writes stories about the ISI that will lead to his kidnapping and murder (see January 31, 2002). A crowd of mostly unarmed Indian police near the US Information Service building in Calcutta, India, is attacked by gunmen; four policemen are killed and 21 people injured. The gunmen escape. India claims that Aftab Ansari immediately calls to take credit, and India charges that the gunmen belong to Ansari’s kidnapping ring are also connected to funding the 9/11 attacks in August 2001 (see Early August 2001). [Daily Telegraph, 1/24/2002; Associated Press, 2/10/2002] Saeed Sheikh and the ISI assist Ansari in the attack. [Pittsburgh Tribune-Review, 3/3/2002; Vanity Fair, 8/2002] This is the fourth attack in which they have cooperated, including the 9/11 attacks, and attacks in October and December 2001. Pakistani police publicly name Saeed Sheikh and a Islamic militant group he belongs to, Jaish-e-Mohammed, as those responsible for reporter Daniel Pearl’s murder. [Observer, 2/24/2002] In the next several months, at least 12 Western news articles mention Saeed’s links to al-Qaeda [ABC News, 2/7/2002; Boston Globe, 2/7/2002; Associated Press, 2/24/2002; Los Angeles Times, 3/15/2002] , including his financing of 9/11 [New York Daily News, 2/7/2002; CNN, 2/8/2002; Associated Press, 2/9/2002; Guardian, 2/9/2002; Independent, 2/10/2002; Time, 2/10/2002; New York Post, 2/10/2002; Evening Standard, 2/12/2002; Los Angeles Times, 2/13/2002; New York Post, 2/22/2002; Sunday Herald (Glasgow), 2/24/2002; USA Today, 3/8/2002] , and at least 16 articles mention his links to the ISI. [Cox News Service, 2/21/2002; Observer, 2/24/2002; Daily Telegraph, 2/24/2002; Newsweek, 2/25/2002; New York Times, 2/25/2002; USA Today, 2/25/2002; National Post, 2/26/2002; Boston Globe, 2/28/2002; Newsweek, 3/11/2002; Newsweek, 3/13/2002; Guardian, 4/5/2002; MSNBC, 4/5/2002] However, many other articles fail to mention either link. Only a few articles consider that Saeed could have been connected to both groups at the same time [London Times, 2/25/2002; Pittsburgh Tribune-Review, 3/3/2002; London Times, 4/21/2002] , and apparently, only one of these mentions he could be involved in the ISI, al-Qaeda, and financing 9/11. [London Times, 4/21/2002] By the time Saeed is convicted of Pearl’s murder in July 2002, Saeed’s possible connections to al-Qaeda and/or the ISI are virtually unreported in US newspapers, while many British newspapers are still making one or the other connection. Pakistani President Pervez Musharraf says Saeed Sheikh, chief suspect in the killing of reporter Daniel Pearl, will not be extradited to the US, at least not until after he is tried by Pakistan. [Guardian, 3/15/2002] The US ambassador later reports to Washington that Musharraf privately said, “I’d rather hang him myself” than extradite Saeed. [Washington Post, 3/28/2002] Musharraf even brazenly states, “Perhaps Daniel Pearl was over-intrusive. A media person should be aware of the dangers of getting into dangerous areas. Unfortunately, he got over-involved.” [Hindu, 3/8/2002] He also says Pearl was caught up in “intelligence games.” [Washington Post, 5/3/2002] In early April, Musharraf apparently says he wants to see Saeed sentenced to death. 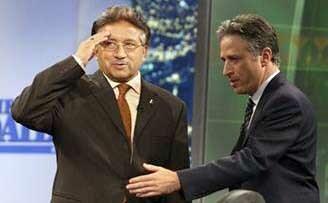 Defense lawyers are appalled, saying Musharraf is effectively telling the courts what to do. [BBC, 4/12/2002] The Washington Post reports in early March that Pakistani “police alternately fabricate and destroy evidence, depending on pressure from above” [Washington Post, 3/10/2002] , and in fact Saeed’s trial will be plagued with problems. In a Guardian op-ed, British MP and former cabinet minister Michael Meacher suggests that Saeed Sheikh, known for his alleged involvement in the 9/11 attacks and the murder of reporter Daniel Pearl, may have played a role in the 7/7 London bombings despite being held in a high-security Pakistani prison since 2002. Meacher states that “reports from Pakistan suggest that Sheikh continues to be active from jail, keeping in touch with friends and followers in Britain.” He cites the India-based Observer Research Foundation, which argues that there are even “grounds to suspect that the [7/7 London bombings] were orchestrated by [Saeed] Sheikh from his jail in Pakistan.” [Guardian, 9/10/2005] While there have been no firm reports linking Sheikh to the 7/7 bombings, he did work with Pakistani militant leader Maulana Masood Azhar (in fact both were released in 1999 as part of a deal to end an airplane hijacking (see December 24-31, 1999)), and there are reports that two of the 7/7 bombers called Azhar and had dealings with others linked to Azhar’s militant group (see August 1, 2005). 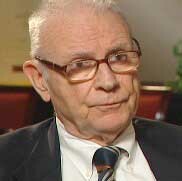 He also claims that State Department Official Richard Armitage threatened that if Pakistan did not co-operate with the “war on terror,” the US would bomb it “back into the stone age” (see September 13-15, 2001). 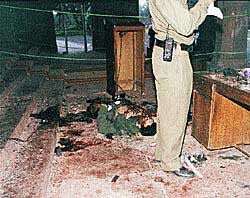 After learning that a new book published by Pakistani President Pervez Musharraf (see September 25, 2006) says that alleged 9/11 mastermind Khalid Shaikh Mohammed (KSM) either killed American reporter Daniel Pearl or played a leading role in the murder (see January 31, 2002), the lawyer for Saeed Sheikh, one of the kidnappers, says he plans to use the book in an appeal. Sheikh was found guilty of the kidnapping (see April 5, 2002), but the lawyer, Rai Bashir, says, “I’m going to submit an application that [Musharraf’s] book be used as a piece of evidence. The head of state has exonerated [Sheikh and his accomplices].” [Christian Science Monitor, 11/8/2006] Bashir will also make similar comments after KSM says that he carried out the murder in early 2007 (see March 10, 2007): “In the next court hearing, I am going to submit the recent statement by Khalid Shaikh Mohammed in which he said he himself beheaded the US journalist… From day one, my contention was that the evidence presented in court was not strong enough to lead to the conviction of my client.” [Guardian, 3/19/2007] Sheikh was convicted in July 2002 (see July 15, 2002). As of late July 2005, the appeal proceedings had been adjourned thirty-two times. [International Herald Tribune, 7/29/2005] As of 2007, his appeal process is still in limbo. She says that Saeed Sheikh is “the man who murdered Osama bin Laden.” Saeed helped kidnap Wall Street Journal reporter Daniel Pearl, who was later murdered (see January 23, 2002), is said to have provided money for the 9/11 hijackings (see Early August 2001), and is thought to have been in prison in Pakistan since 2002 (see February 12, 2002). Although bin Laden is thought to be alive at this time (see October 22, 2007), Frost does not ask a follow-up question about bin Laden’s alleged demise. [Al Jazeera, 11/2/2007] When a video of the interview is posted at the BBC’s website, this section is initially edited out, as the editor thinks Bhutto must simply have misspoken. However, the BBC accepts this was an error and later posts a full version of the interview. [BBC, 4/1/2008] This is the only known occasion that Bhutto makes this claim. Based on information from a “friendly country,” she names four people and/or organizations that might attack her: al-Qaeda linked warlord Baitullah Mahsud; Hamza bin Laden, son of Osama; the “Pakistan Taliban in Islamabad”; and an unnamed group in Karachi.